The Restaurant Guide is an annual publication and jam-packed with local insight and information. 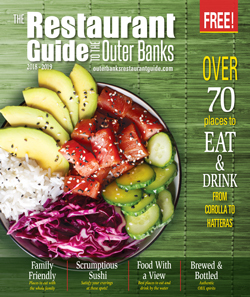 Oversized and artfully produced, with interesting articles, recipes, and creative content, The Restaurant Guide is the only engaging foodie-magazine on the Outer Banks. There is no better way for locals and visitors to connect with our culinary community. We offer our advertisers a unique, interactive, multi-platform media program. We combine print, web coverage, and social networking to enable seamless marketing and branding for your business. The Restaurant Guide has it all! Enjoy the coastal lifestyle with My Outer Banks Home! 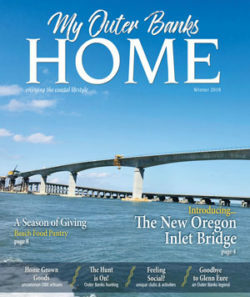 Inside each quarterly issue you’ll fi nd a variety of fascinating features on everything from local recipes, history, and cultural events to community spotlights on the organizations and individuals who make this area so special. 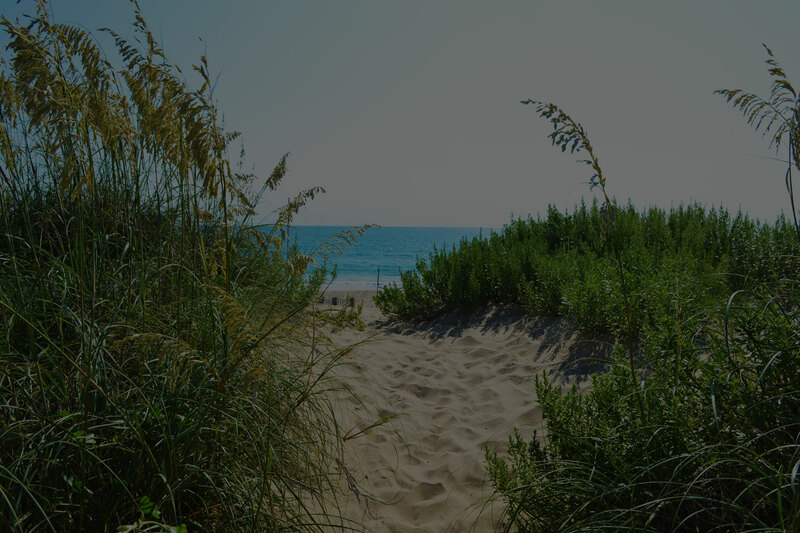 Each page will remind you why so many of us love calling the Outer Banks home. Our advertisers receive a full, multi-platform media program – so much more than just an ad! We combine print, web coverage, and social networking to enable comprehensive marketing and branding for all our advertisers. 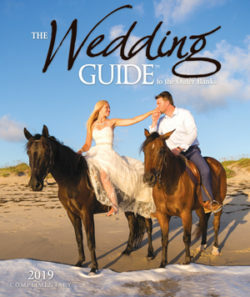 Since 2001, The Wedding Guide to the Outer Banks has been the premier resource for couples preparing to marry on the Outer Banks. From wedding fashions, trends, planners, cakes, flowers, and decor to a comprehensive venue and accommodation guide – our beautiful magazine delivers local, inspiring wedding content to thousands of brides-to-be every year. Ad an advertiser, you will receive a full, multi-platform media program – so much more than just an ad! We combine print, web coverage, and social media marketing to enable comprehensive marketing.. 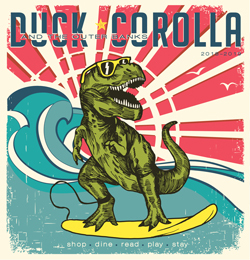 The Duck, Corolla, and the Outer Banks guide is an indispensable resource for visitors and residents alike. Filled with all the latest information on must-see places to shop, dine, play, and stay, plus plenty of fun articles and insider tips, this magazine brings the best of the beach to life – and will inspire you to explore the Outer Banks like never before. As an advertiser you receive so much more than just an ad. We offer a comprehensive multi-platform media program, combining print, web coverage, and social networking to enable seamless marketing and branding for your business.